Think in future these funding requests should be cleared by the mods. Andy created Bruces fund in good faith but I have seen others since that look a bit dubious to me. Don’t want the generousity of the members being exploited. You may be right there Bob, it was Andy Williams who created Bruce’s fund, I don’t recognise this other fella. I’m pretty sure it’s the same guy that set up the scammy looking second Bruce one that he then kept posting in the forums. It was a different username but I think that’s because Bandit removed his posting rights. Bought it the other day – I had a few quid sat in my paypal balance so thought I would put it to good use. It’s harder to keep on top of that you would imagine, i’m close to banning any “fund me” link which whilst being a shame, is the only way i can put a stop to all these campaigns that are popping up left right and centre, i mean, i must have asked the guy that did the second Bruce one around 20 times to please stop it. Yeah he has done a couple of other fundraisers as well but don’t know how legit they are. Pain in the arse when hijacking other threads to post for donations that no one has asked for/approved. ” Um Bongo Um Bongo they drink it in the Congo ” didn’t realise they still sold that stuff lol, used to mix it with Bacardi back in the day. I also do the charity ninja thing that Jason Mansford promotes – he finds a cause or charity and asks fans to donate. I usually stick a couple of quid on them as with all the people doing it all adds up and can make a nice change for someone who genuinely needs it. I think that is the hard bit for him – finding a cause that is genuine and not just fishing for money. 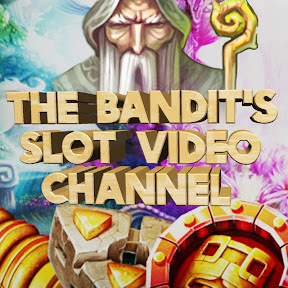 Can anyone tell me how I contact the Bandit by Email ? I’m new to all this and have got a few questions.